Chantal Dawson is the CHAMPS Academy franchisee for Basingstoke. Originally from South Africa, and having spent time in the US, Chantel moved to the UK in 2003. With a background in HR and coaching people, Chantal was keen to move into a role that allowed her to use these skills. After much research into franchising, it didn’t take long for Chantal to decide CHAMPS was the franchise for her. 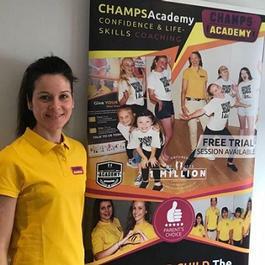 Chantal loves the ethos behind CHAMPS and was excited by the fact no other franchise offers life skill coaching to children. Chantal loves her role especially seeing the difference she is making to children. The only regret Chantal has it that she didn’t start it sooner! 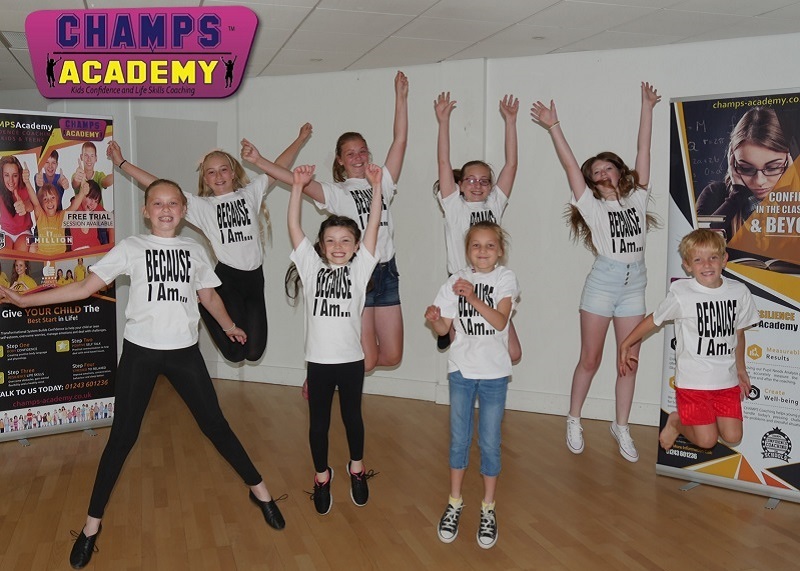 CHAMPS Academy is a network of life-skills coaches that work with children and young people to help build their confidence and break free of negative thinking. Children and young people are going through a CONFIDENCE and emotional CRISIS today with all the pressures and demands that life throws at them. 1 in every 3 children report lacking in the vital life skills to manage the evolving challenges and complexities of growing up today. CHAMPS coaches provide timely and focused solutions for parents looking for help with their children’s and teens confidence and mental health. You will operate as a licensed CHAMPS Academy Franchised Coach in an exclusive trading area based typically around where you are located. You will offer proactive and practical coaching sessions and packages to kids and teens between the usual ages of 6-16 years of age. You can take on as little or as much coaching work as you can suitably handle and work the hours you want. CHAMPS does NOT offer counselling or psychotherapy, we focus on proactive solutions, quick strategies and positive psychology; most kids don’t need therapy, they need strategy. As we don’t offer therapy, you don’t need to have a psychology degree or experience to become a CHAMPS coach as you will follow our proven system, structure and formula. As a CHAMPS coach you will identify barriers, clarify outcomes and emotional triggers and give them a clear path to follow. Transforming their minds, thoughts and behaviours to unleash their true potential in all aspects of life. 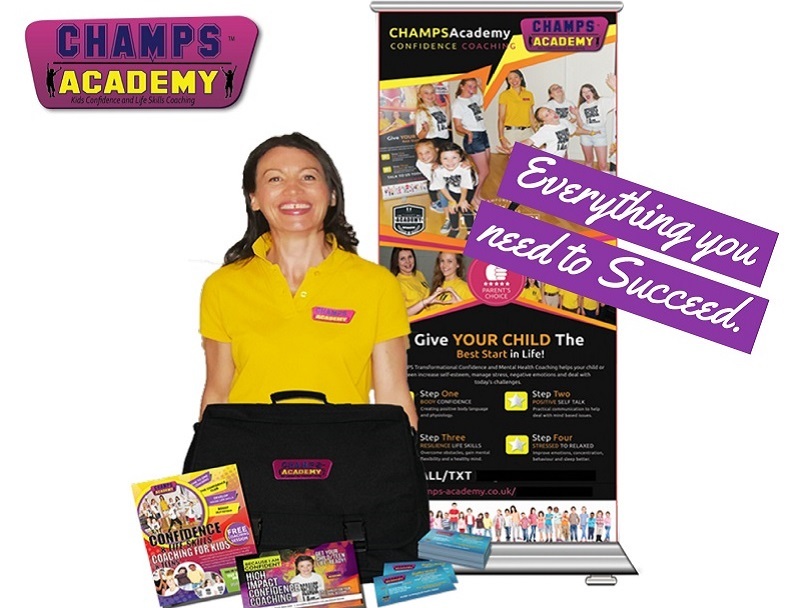 The Franchise begins with an initial 1-day live training day followed by a series of interactive, engaging and highly educational online training sessions that include all coaching systems, business, marketing and the steps to success for launching your new CHAMPS Franchise. CHAMPS is currently looking for individuals across the UK who have a passion for helping children whilst building a sustainable business for themselves. If this sounds like you, please fill in the form below or click here to visit our website. By filling in the form below you will be able to receive a copy of the CHAMPS Academy prospectus.